Actually, I was just gonna post that... I'm gonna try to get down and spend some time with Pat, and give him a hand on his cars - Which ever one he needs attending to first. If not Saturday, then Sunday. Be warned- Pat isn't an early riser, so don't bother showing up too early. Now me, I'd be down for something like 7-8, but Pat would probably kill me for getting him up too early. We don't want him to lose any beauty sleep!!! Saturday sounds good to me. Pat, just give us the word. It's true though, I need my beauty sleep . I might wake up early on saterday so I can clean the shop some before jared gets there. but that'll be around 9 maybe 9:30. That would be really great. Sorry if I'm getting you outta bed earlier then usual, but my time on Saturday is gonna be slim, and we've been talking about this for sooooooo long (ok, ok, just a few months) that you'd get more outta me - The earlier the better. I'll be up to watch the Netherlands vs Japan game at 5:30am on Saturday anyway, so 9 or 9:30 would be perfect for me. Keep me posted if you're done early on Friday (Today) and you want me to come down... Say after supper... Up to you... If not, I'll see ya tomorrow. I sent you a PM with my home number on it. To be honest, I'd like to be down around 9, but I doubt if I'll be able to actually make that time. Probably around 10 am or so. So don't sweat it, Pat will probably be just getting up. Come over whenever. just note Ian, around 1:30 well be gone for about an hour. well, we got a lot done - Pat (Mechanic) and I ripped off the entire back to his large truck. The wood was completely rotten. be alot easier to get at the rear axle now. and he's gonna redo the back to the truck. I'll have to post some pics soon. He's probably gonna make some kind of carrier out of it. At least I think that's the plan. 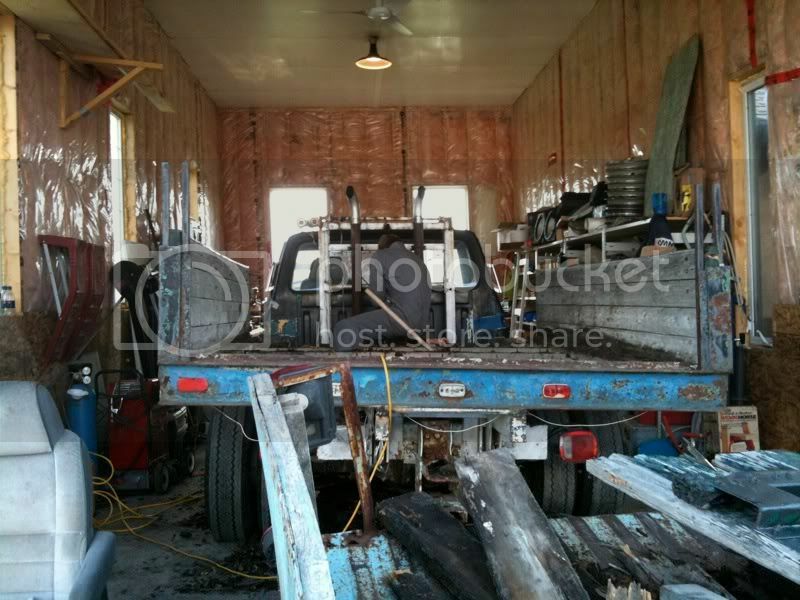 first one is the truck bed with the bottom of the bed gone, but all the frame and sides still on it. 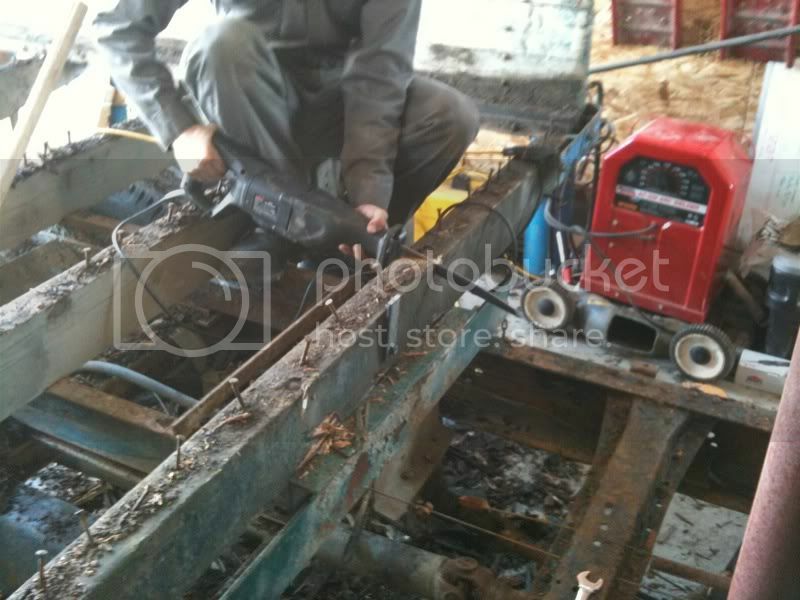 second one is Mechanic cutting around a Carriage bolt, to cut it off. 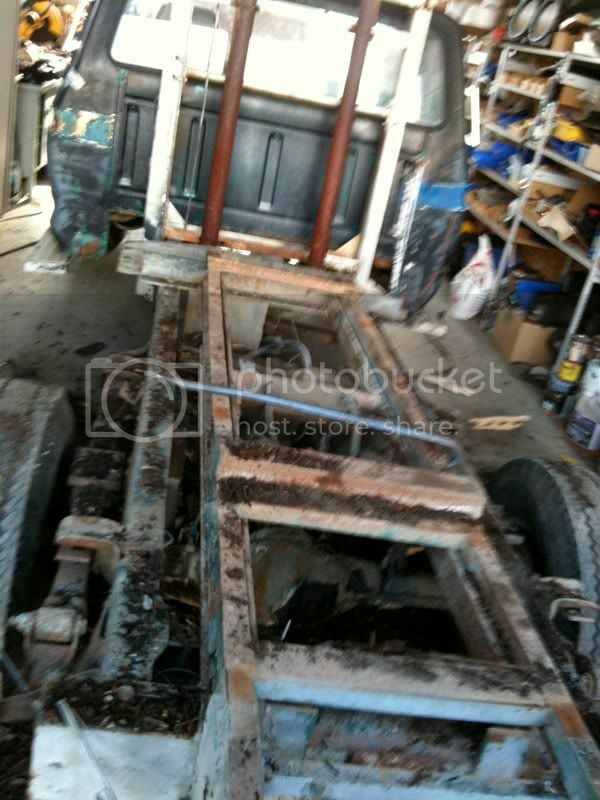 third pic is the wooden bed, sides and the rest of the rotten wooden frame completely gone. Alright, time to revive this thread as summer is approaching and the list of things to fix on the SX/4 has grown considerably as of my little meeting with a mud puddle(Another.......... let's say not so splended idea ) and so have my thought of what I plan to do with it. Because I am now driving a 2000 Toyota 4runner as a DD I can actualy build this beast back to stock. Hopefully eventually show condition. Anyways, a new and improved list as to what needs doing ASAP, and what needs doing in the future. -strip all paint and re-paint original coulor with spoiler. Work will start on the ASAP within the next week or so, although it will be slow going till middle of June when i'm done diplomas. As usual, I am willing to help you with any repairs I can.